A hot cup of tea. That’s the basic, right? You take your tea leaves, you soak them in boiling water until a reasonable amount of caffeine has come out, and you inhale that sucker as soon as it cools enough not to scorch you. Then you stare at the computer screen, decide you still don’t feel awake, and repeat the process. Wait, is that just me? OK, I don’t do that (always). Being the cultured tea snob that I am, I would of course never put boiling water on a delicate tea leaf. Near boiling, perhaps, for a hearty black, but that’s all. And for your more delicate greens, water down to 160 or even 140 degrees might be wise. And then if you want it iced, which you probably do in the summer heat, you drop ice in until it’s cold. But does the water have to be that hot? As you’ve probably guessed, I wouldn’t have asked the question if the answer was yes. Heat speeds up and strengthens chemical reactions. So heat in your water makes your tea steep faster, and it lets the water drag some larger molecules out of the leaf, but the action will still happen, even with quite cold water. Here at the tea shop we need things to happen fairly quickly, since people are lining up at the register, so we usually make iced tea by making a normal pot of tea and then applying ice and refrigerators until it’s at proper iced tea temperature, but at home I usually make my iced tea by putting leaf in room temperature water, then putting it in the fridge to steep overnight. This is called cold-brewing. My mother has a middle approach; she puts the leaf and water in a large clear jug out in the sun all afternoon, so the water is warmed up by the sun, and making what is called ‘sun tea’, but doesn’t get up to normal steeping temperatures unless you live in a seriously toasty climate. All three approaches make very tasty and very different cups of tea. First, is time needed. You exchange water heat for steeping time. So tea brewed with boiling water is done in three minutes, my mom’s sun tea is done in four or five hours, and I pour a glass of my fridge tea after eight to ten hours (although some people will cold brew for as few as four and like it that way. Experiment and see what you like). If you want to try cold-brewed tea, you must plan ahead of time! Second, the flavor changes. Cold water can’t get the big molecules loose from the tea leaves, so the tea you end up with tastes different. The most distinct change is that cold-brewed tea is less bitter than normally brewed. 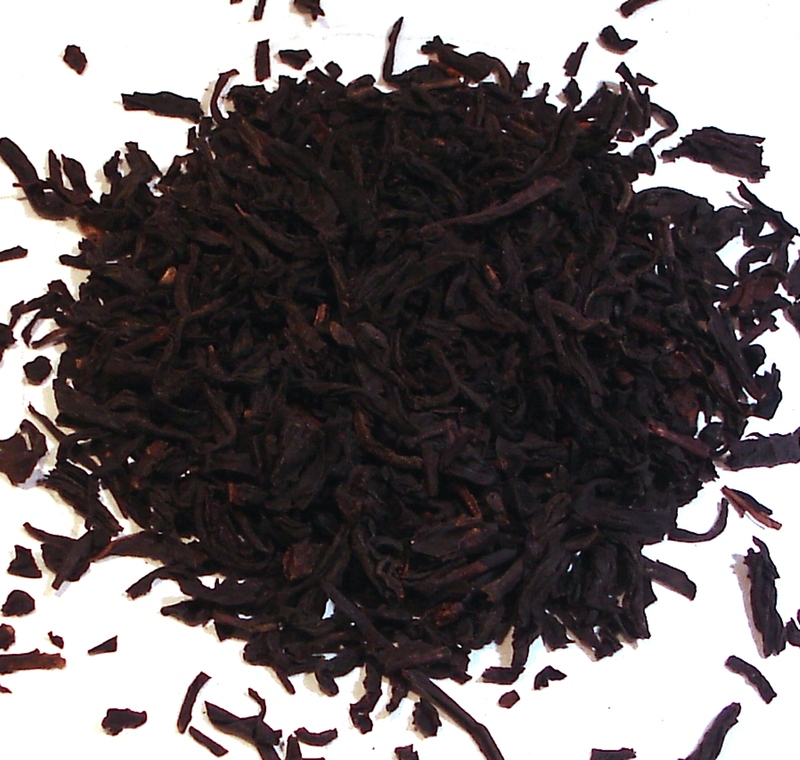 Less of the caffeine is dissolved in the cold water and caffeine, a strongly bitter chemical, is the primary reason that tea has a bitter flavor. Cold-brewed tea is often comparatively sweet, and sometimes surprisingly floral. If you’re not sure you’ll like that, try the method on small batches of types of tea you haven’t tried it on before. Conversely, an already sweet tea will often make an excellent cold-brew, since it supports and emphasizes the flavor profile that the tea was designed for. This effect is also great for cheap tea, since any overwhelming bitter or sour flavors will be softened, giving you a fairly tasty and undemanding drink. My mother makes her sun tea with whatever bags are cheapest and come in the largest box at the grocery store, and it’s lovely, especially with a bit of fresh mint. So, you can have your tea without having to turn your stove on in the middle of this summer’s ubiquitous heatwaves! At least, you can by tomorrow. Set it to steep now, and go see a movie in an air-conditioned theater, you’ll have tea when you get back.